April | 2017 | US Registries LLC. 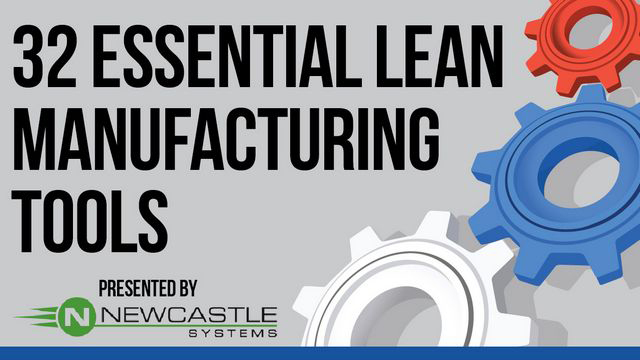 When you hear “lean manufacturing“, you have your own world view of what it means. 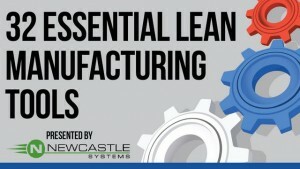 Every lean manufacturing consultant offers expertise but few will be an expert with every tool. 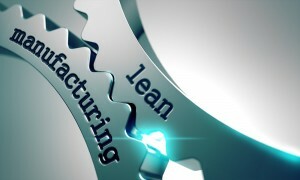 To ensure you have the very best options for lean manufacturing tools, our team did extensive research which includes websites such as LeanProduction.com. Businesses are reaping the rewards of IoT — by 2020, the number of connected devices worldwide will top 50 billion. IoT is allowing organizations to collect more information, quickly respond to changes and act on new business intelligence. But as we move into a world where everything is connected, a new ‘smart infrastructure’ will need to be put into place, with planning and asset management tools capable of dealing with the scale and lifecycle of dispersed – but connected – assets. This is where modern enterprise asset management shows its worth. For example, IP-enabled remote cameras are starting to make their way into the cockpits of large earthmoving vehicles used in mining. These cameras can be connected to centralized software which uses facial recognition to monitor for signs of tiredness and either trigger an audible alarm to alert the driver or a produce a response from HR to pull the operator from active duty. While this will minimize the risk of serious accidents, it will of course have knock-on effects on operations with increased downtime as a machine sits unmanned. With the right EAM in place however, a dynamic scheduling tool can automatically adapt and quickly reschedule a suitably qualified and available alternative employee. This is the type of scenario that will play out across the entire enterprise. With more real-time data facilitating real-time operational decisions, it’s the EAM’s job to produce business actions to minimize the disruption to operations. IoT is taking this approach one step further with condition-based maintenance (CBM), enabling the EAM solution to automate intelligent responses to potential faults. CBM monitors the health of assets to determine if any maintenance is required and create a maintenance history for ongoing analysis. Sensors in the asset monitor for specific indicators which signal asset deterioration or performance decrease. This data can be captured, shared and analyzed before being fed directly into the EAM to get an enterprise wide view of asset status and automatically schedule work-orders — all in real-time. In addition to this, it allows organizations to build up aggregate data sets on performance and operations which can be analyzed to inform repair or replace and other asset lifecycle decisions. IoT is expanding rapidly, but the important question decision makers need to ask is ‘what actionable intelligence is it producing?’. If IoT is the capture, exchange and storage of information, then it is the analytics capabilities of enterprise solutions which will be providing the answers to that question. EAM software today must not only accept incoming data from connected devices. But it must put executives in control of that information, enable them to drill through to actions taken as a result in the IFS software, and configure observation workflows. IFS IoT Business Connector puts asset management executives in a position to maximize the value of data from connected devices. Unlike CBM, machine learning doesn’t rely on pre-programmed algorithms but enables ‘the machine’ to learn from huge aggregate data sets to identify new trends and insights. Because machine learning systems use data collected from IoT-enabled sensors, they can constantly refine models to make analytical predictions on asset performance and efficiency. For example, an operating motor creating its own vibrations can monitor and feedback this data in real-time. If vibrations suddenly spike outside a set threshold, an engineer might be scheduled to perform maintenance. But what if the spike was caused by a truck driving too close to the machine rather than a fault in the asset? With machine learning, the analytics software will know to ignore such spikes and only dispatch an engineer for maintenance when it receives signals of asset degradation that fits the data. EAM will automatically schedule a work order for an available engineer with the right skill set to perform maintenance work as well as identify the right tools and parts for the job. These advanced warnings will allow organizations to efficiently leverage global supply chains, streamline resource allocation for maintenance operations and reduce local stock levels for spare parts. Mobile technology has been benefiting businesses for some time now, with improved communication, field access to computing functionality and documents, accurate data recording and more. But there are a couple of technologies starting to make their way into the enterprise which are set to have a significant impact. Can Augmented Reality Solve Resource Shortages? A common problem facing asset heavy organizations is having people with the right skill-sets in the right place at the right time — even with the right scheduling tools, workers can’t be in two places at once. Companies are working to bring forward a remote expert to assist in complex maintenance — ‘augmenting’ worker’s skills with virtual over-the-shoulder coaching. With these solutions, not only can the expert engineer see the issue at hand, but with augmented reality, can guide a technician through even the most complex of tasks using visualized hand gestures and tools. This is just the type of technology which could be extended to provide mechanics and technicians virtual ‘sight’ of components hidden from view behind other systems or structures, or pin-point exactly where a fault lies by augmenting reality with reference plans and drawings. The key benefit of context-aware AR technology will be reducing the time it takes to complete complex maintenance tasks in difficult environments. The role of a maintenance engineer is very much a hands-on job, and it’s not uncommon for them to work in confined spaces or challenging environments. It is for this reason that the list of potential benefits from interactive voice systems in mobile apps should make strategic planners take notice. Productivity, accuracy and efficiency would all rise as engineers no longer need to sacrifice wrench time to input data at the end of a shift or even manually interact with EAM on a mobile device. In some cases, voice-driven computing for hands-free operation could mean techs could interact with EAM software in situations where they need use of both hands, increasing both productivity and safety. This technology has the potential to transform how engineers work, with an engineer asking their mobile device to report the status of an IoT-enabled asset, requesting parts data or accessing instructional or asset documentation. EAM software is now taking advantage of disruptive technologies like IoT, augmented reality and hands-free computing. But the fundamental fact remains that executives need to manage assets in a safe and reliable way which guarantees their availability, safe operation and productive capacity. These human and machine interfaces for EAM software must make asset data usable for decision support, and be configurable and agile enough to adapt to changing business needs. Patrick Zirnhelt is Vice President of Enterprise Service & Asset Management at IFS North America.